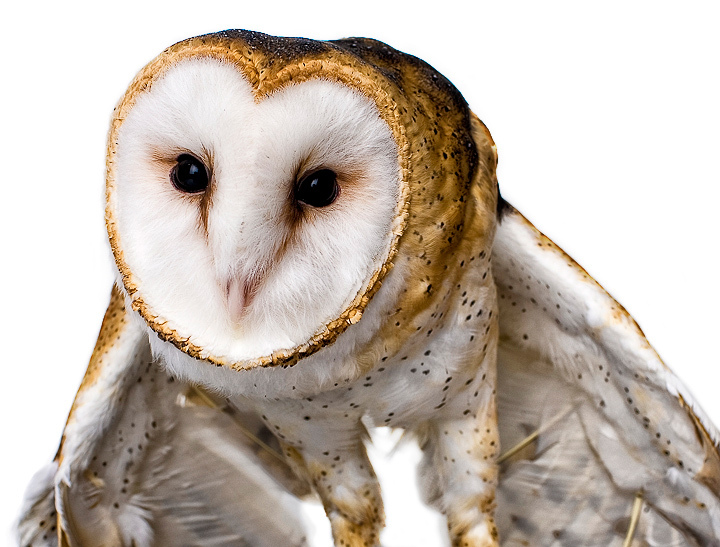 This barn owl is a resident of Wings of Hope. His name is Barney. He has a bad wing and cannot be released back in to the wild. Now he is used for educational events to make more people aware of these beautiful animals. If you would like to learn more about Wings of Hope please check out their website. This was a studio shot with a softbox for lighting. Amazing shot Brian! The lighting is fantastic. Congrats on a new PB. I was one of your 10s..this was one of the best shots of the bunch to me! I am out of superlatives for this shot!!! congrats on the Top10. this is just brilliant. Was the owl shot in the studio ? Message edited by author 2009-11-08 04:33:57. Great shot Brian. Congrats on the top 10! This is beautiful, congrats on the top ten. love owls. i don't have access to such creatures. enjoy the opportunities! oh what an interesting hmmmmm.... what do you call it..... creature, bird, owl.... I love the whites. This is one that stopped me in my tracks - stunning focus. what a beautiful bird. very well shot. My favorite photo of this challenge. Great detail and the white on white is a stunning effect. OMG! How wonderful to see this beautiful barn owl this close and this clear. Great shot. I've seen so many of these owl shots over the years that I have gotten tired of them. This one however, is fantastic. I like the white background that contrasts so well with the bird. Nice job. Such odd faces they have (they probably think that about us, too). Like eyeballs on a pillow ;-) Very cool shot! Oh my, how did you get this shot? Beautiful, and focus spot on! Proudly hosted by Sargasso Networks. Current Server Time: 04/23/2019 05:53:46 PM EDT.